Saint Mark’s School and Saint Mark’s Church are proud to partner with Ste. Marguerite, a school in La Tournelle, Haiti. The church and school’s relationship with Ste. Marguerite began in 2011, shortly after the devastating 2010 earthquake. Pastor Carri Patterson Grindon and Doreen Oleson, Head of School at the time, visited Haiti and saw the community’s needs firsthand. Since then, a group from Saint Mark’s has traveled to the country at least once every year. In November 2016, we welcomed the Rev. Pere Reginald from Ste. Marguerite. He shared updates with our community from his church and school in La Tournelle. 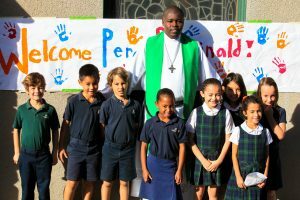 Through the Haiti Partnership Program, the school and church communities join together to support Ste. Marguerite. Throughout the year, Saint Mark’s students learn about Haiti, write to their peers at Ste. Marguerite, and collect coins, school supplies, and vegetable seeds to send to the community. In addition, we hold two community-wide events with the church as part of this partnership. The Hike for Haiti raises awareness and funds for our partner school. 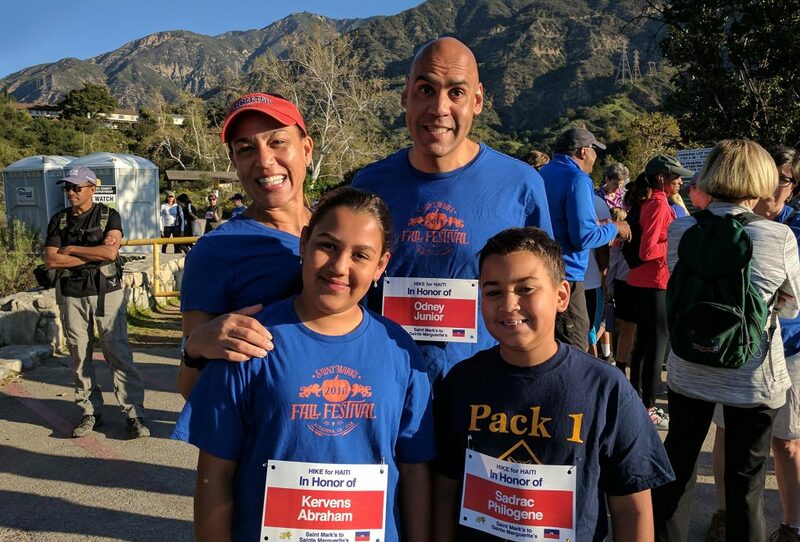 Participants of all ages hike three miles to Henninger Flats in nearby Eaton Canyon. The distance is similar to the journey many Ste. Marguerite students make each day to get to school. Hikers fundraise for Ste. Marguerite’s hot lunch program, which serves 150 students. 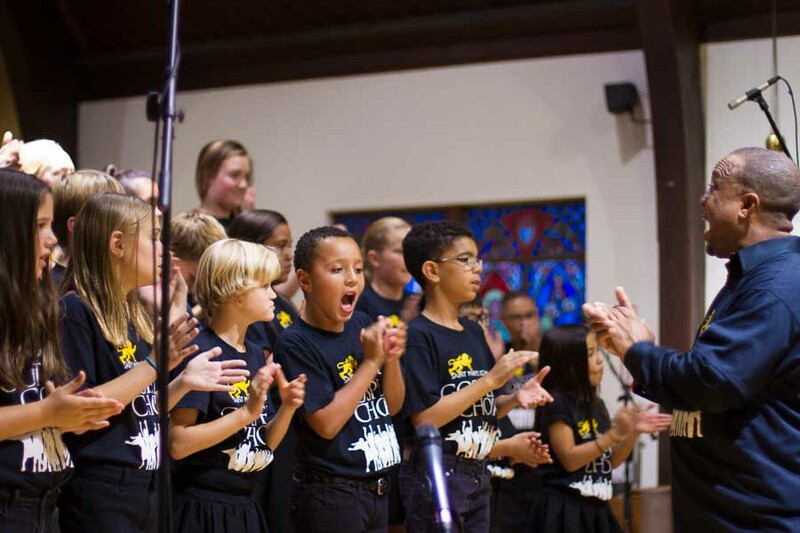 Established in 2016, the Saint Mark’s Gospel Choir, which includes Upper Elementary students and members of the church’s youth group, holds a benefit concert each year. All proceeds from the uplifting evening of performances support teachers’ salaries at Ste. Marguerite.